Happy weekend! Here in New England we are definitely feeling like we can breathe again after all of the events in Boston yesterday. Time to let creative juices flow again with a Lawnscaping and Moxie Fab challenge. 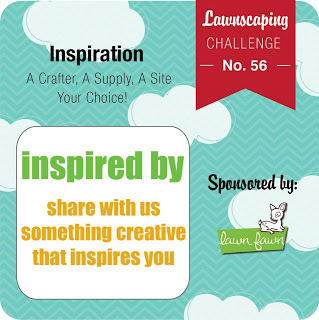 The Lawnscaping challenge is to create a card that shows something you're inspired by. 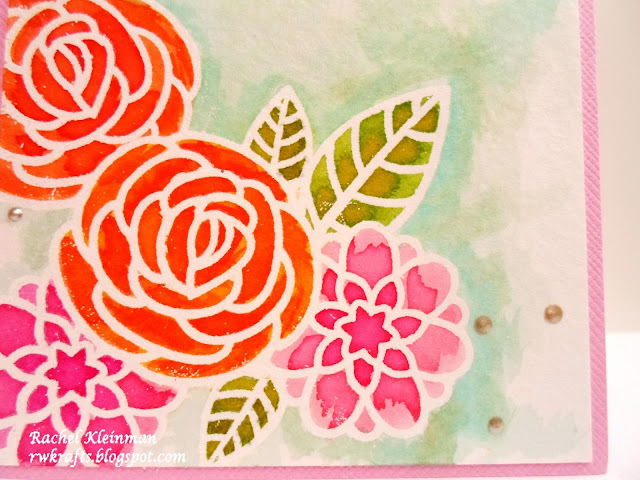 Over at Moxie Fab there is a challenge to create a watercolor look. So I really did just scrap-lift the idea because I wanted to try out the watercolor look that Jennifer used. In my card I used Lawn Fawn stamps from "Flutter By" set. I also used Distress Ink pads with water spritzed on the ink, since I do not own any distress markers. My light blue shading around the flowers didn't turn out, so I dealt with it by just dragging the blue throughout the card rather than trying to make it a shadow. I used the "you inspire me" sentiment because HOW FITTING is that in an "inspired by" challenge?! I also used the iron off technique that Jennifer shared. This removed all of the embossing powder after the inks were dried. Absolutely gorgeous, Rachel! Beautifully done with the water-coloring! You did SUCH a great job!! Lovely girlfriend! Beautiful creation. Love how you used the distress inks! 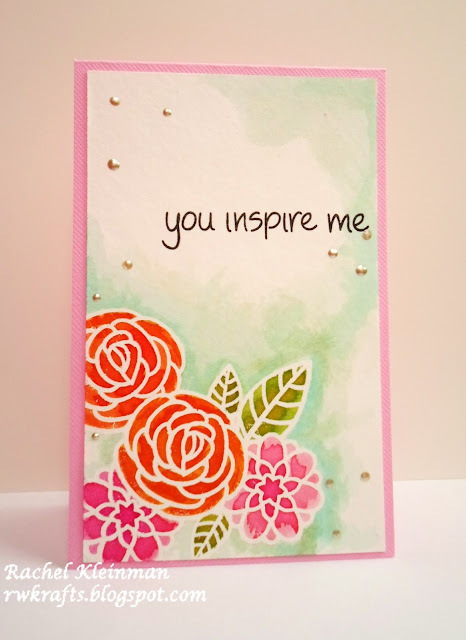 I love how your card turned out - it's fantastic! Thanks for playing along with us at lawnscaping! gorgeous! 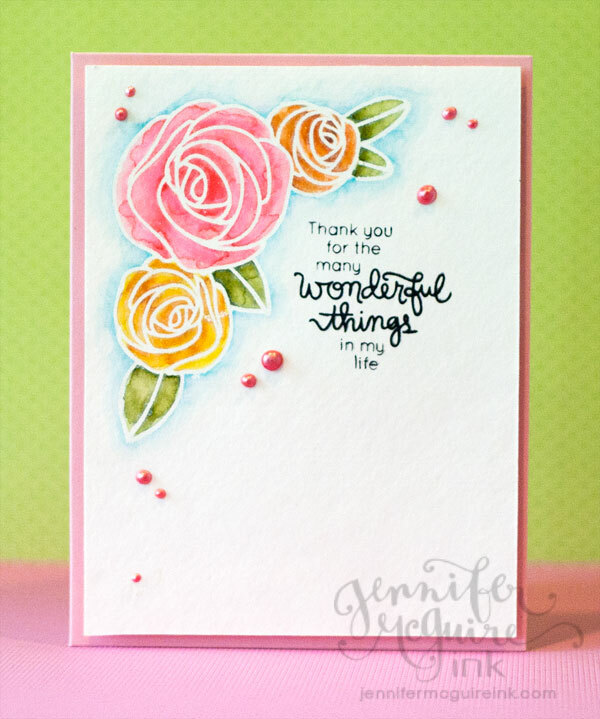 i love your take on jennifer's design...it's beautiful! Wow! So lovely, great take on the card. Wow, this is stunning! Amazing take on the inspiration! This is so pretty!! 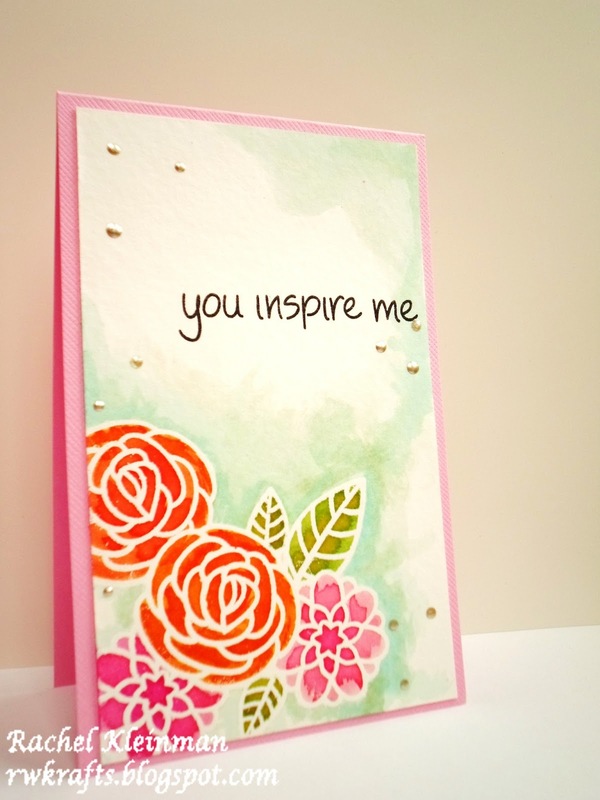 Love your watercolor coloring and totally agree with the sentiment, ha! And so now it looks like a nice puffy cloud kinda sky! 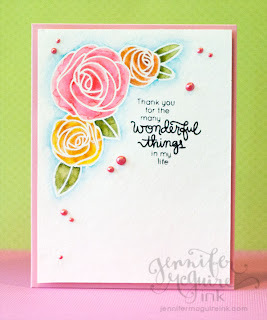 Beautiful (I loved that card of Jennifer's too).